On August 4th the wait was finally over… Nintendo’s struggling Wii U has FINALLY received a title worth waiting for: Pikmin 3. The sequel we’re seeing comes nine years after Pikmin 2, but the wait between the “Launch Window” and now seems much longer than the nearly full decade without a Pikmin title that preceded it. The Pikmin of the third installment have been very patient with Nintendo. The February release of Rayman Legends blew up in smoke as Ubisoft delayed it until September to take advantage of (and make money on) a 360, PS3 and PC simultaneous launch. 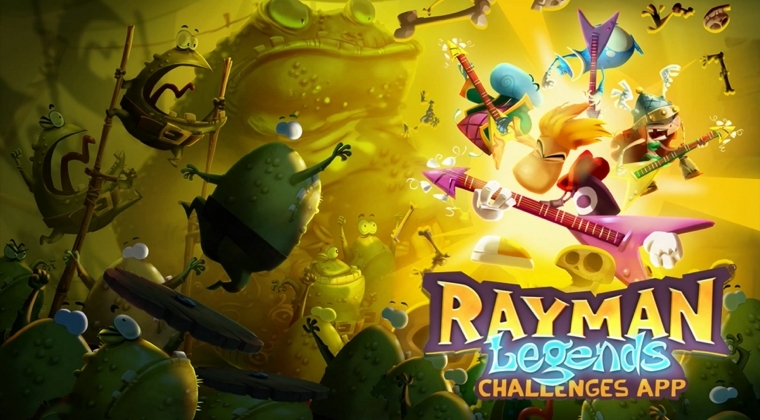 The Rayman Legends Challenges App that was released in April as a peace offering was cool, but not enough to get me to turn on my Wii U every evening. 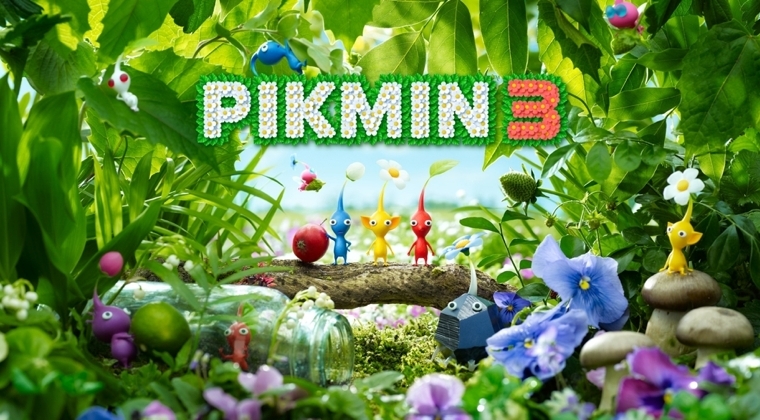 As for the first party titles, Pikmin 3 and many others saw multiple delays due to unexpected HD dev time requirements. Also YES, I was looking forward to Wii Fit U; that damn balance board has been laying around being as lazy as me and I need to get my money’s worth out of it! The Challenges App offers a small taste of the musical levels from Legends. So has my Wii U been collecting dust for eight and a half months? Not necessarily, but most reasons for powering it on could have been found on other platforms. In December I picked up a few third party titles to keep my investment worthwhile including Assassin’s Creed III and Ninja Gaiden 3. Both never offered a true Wii U experience and were released on many other platforms. In the case of ACIII, game performance was better on other platforms, players were able to make use of multiplayer functionality AND the DLC was properly supported and advertised. Enough negativity, let’s get back to the Ryan we all know and love, finding any excuse to enjoy Nintendo and the Wii U! I have been known to purchase a VC title here and there. The reason behind this was that Nintendo ran a 30 cent sale on a new VC title each month. Usually I would boot them up once and have them just because, but that all changed with EarthBound. Released in 1995 for the SNES, EarthBound is a translated version of Mother 2 from Japan. EarthBound saw its first release outside of the SNES this past month on the Wii U VC for $9.99. I’m actually playing through it on the Gamers’ Inn Twitch every Saturday Morning. Another downloadable game I’ve been playing is Runner 2. Although it is available on almost every other platform, having Charles Martinet (voice of Mario) as the narrator it just felt right to play it on the Wii U. This is the first title where I’ve really started to explore one of the main selling features of the Wii U: off-screen play. My fiancé and I have been living together for just over a year, we only have one TV, and she isn’t a gamer. You do the math; it’s an awesome feature for both of us! I’ve been playing Runner 2 while Ashley watches Pretty Little Liars, so I’m swearing at the game as opposed to the character flaws on the television, win-win! It’s a small victory, but doesn’t win the war for the Wii U. During E3 Nintendo made it clear that the second half of 2013 would be nothing like the first, that instead of zero releases we would see seven that were worth mentioning. Are any of them system sellers? Possibly… Never underestimate a good Mario title. I’ll most likely pick up a majority of these titles, but I’m an easy target for Nintendo. All the announced titles sound like they’ll be fun games, but will they appeal to the gamers currently mulling over a PS4/XONE purchase, or those happy with their high end PC? Due out for a Spring launch we have Mario Kart 8, while later on in the year we should see Smash Brothers and Bayonetta 2. Those three titles have huge potential and I’m excited for each one. When compared to the holiday release schedule I’m sure they have a few non-Wii U owners a little curious. 2014 should be a big year for Wii U, but Sony and Microsoft are also aiming to make a big push in 2014. They always say a true test for a console is their holiday season a year after launch, so could Nintendo have a new Zelda ready to go up against Halo 5 or an Uncharted 4? Is that the card the Big-N needs to play to stay in the game, or is that the only card they have left after a new 3D Mario, Mario Kart and Smash Bros? Who knows… Now if you’ll excuse me I have some fruit to collect with my army of Pikmin. 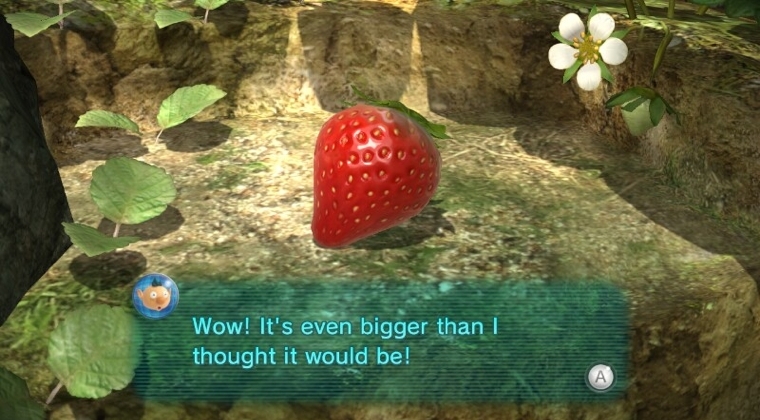 What is Nintendo’s fascination with players collecting fruit anyways?